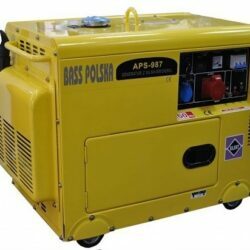 The Bass Polska 5500 compact generator features a simple control panel that is incredibly easy to use. 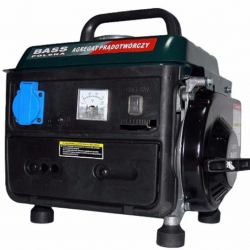 Built with a single cylinder, four-stroke, petrol engine capable of producing 5500 watts of power, this generator is perfect for camping, standby, and industrial use. 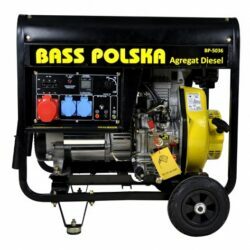 The compact Bass Polska 750 generator is a portable leisure generator perfect for light loads and short run times. With a light weight of just 19.5 kg and equipped with an ergonomic carrying handle, this generator is incredibly easy to take anywhere you want to go. 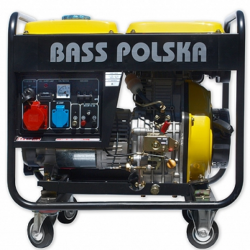 The Bass Polska 7500 blends power and portability into one unlike any other generator on the market. Featuring a single cylinder, four-stroke, air-cooled diesel engine, this generator can produce a maximum output of 7500 watts and run for hours on a single tank of fuel. 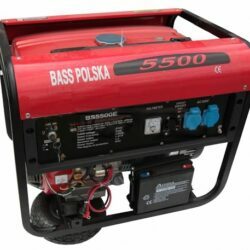 The portable Bass Polska 8500 is a diesel generator that is ideal for industrial work and large camping equipment. Powered by a reliable Bass Polska engine, the machine is capable of producing a maximum output of 8500 watts and can run continuously for up to 6.5 hours on a single tank of fuel.